From the age of 6, Dawn insisted that she decorate her own birthday cakes. She began making her younger sister's birthday cakes (from Garfield and Grover to the Little Mermaid and Aladdin) as well as the cakes for all of the children that she babysat. Dawn made clothes by trial and error without any sewing classes by the time she was 10. She filled her free time with drawing and designing prom and wedding dresses, and she also worked in a flower shop during peak seasons while in high school. She worked full-time while attending Southwest Texas State University and majored in Psychology. Friends from school and church would frequently call her and ask for her to assist with their weddings, bachelorette parties, and showers. She began coordinating weddings in 1996 while still in college. Initially, out of school, she worked with deaf children and their families, and she also coordinated all of the Halloween and Christmas parties for the citywide program. She is known amongst her friends, family, and all of her previous co-workers as "Emily Post" and "Martha Stewart." (No jail time though.) She's often been asked if there's anything that she can't do. Dawn founded Your Very Own Fairy Godmother, and initially, she accepted only one intern. 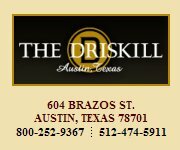 Since then, the firm has grown, and there are multiple coordinators and interns alike at what is now the largest firm in the Austin area. 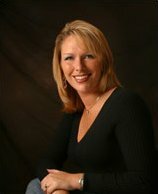 Dawn is also the founder and President of the International Wedding Consultants' Certification Board, the only truly hands-on program. It is important to her that she continues to educate other future wedding consultants. Dawn married her own Prince Charming, Ross Earley, in April of 2004. Even then, she chose to have one of her fellow coordinators (Wendy Prindle) in addition to the coordinator that was provided by the wedding site. There is nothing that can ease the mind of a very detail-oriented wedding professional more than knowing that she has another detail-oriented wedding professional that she trusts attending to every element of her lovingly-planned day. Dawn has done the floral arrangements, bouquets, boutonnieres, catering and cakes for weddings and showers, but her true passion is the planning and coordination of the big event. She wants to make sure that every detail is perfect for YOUR Cinderella story. Your Very Own Fairy Godmother Wedding & Event Coordination is proud of their reputation as people who sincerely want the bride, groom, their families, and wedding parties to feel as if the world has stopped to service them throughout the planning process and especially on the big day.